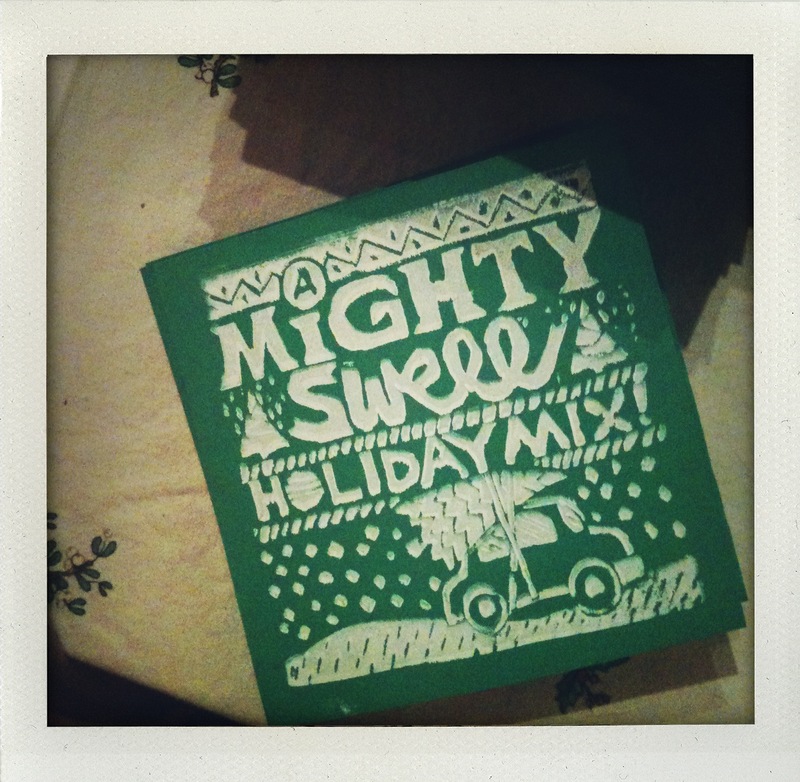 Word to the wise—we’re giving away a mix of holiday songs, hand-picked by yours truly, at Mighty Swell tomorrow. It’s a lot of fast-paced jams, from Bob Seger to James Brown, Canned Heat to Chubby Checker…no sleepy slow songs allowed! I love Christmas music in the most ridiculous way, so this project was a dream for me. Quantities are very limited, so get there on the early side to nab one. (We open at 9 a.m.) Oh, and one other sort of awesome thing? Our stupendous team of vendors brought by heaps of new vintage tonight. We promised new merch every Saturday, so that’s what we’re going to give ya. I already have my eye on a leopard fur muff from Valise Vintage and a cute mini from Patterns. Can’t wait to see y’all there! This entry was posted in Uncategorized and tagged giveaway, mighty swell, music by highplainsthrifter. Bookmark the permalink.